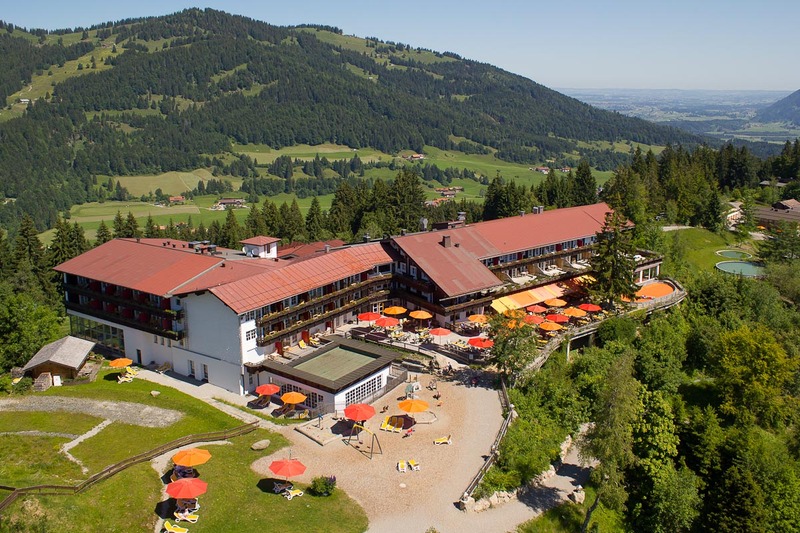 A real pampering oasis in your holiday with child care: the wellness complex of the Allgäuer Berghof attracts with bright rooms for beauty treatments and massages, offering a wonderful mountain view and a cheerful tea corner. Our beauticians use exclusive costmetic products for nourishing facials, manicure or pedicure treatments. Even dads can be pampered in our beauty salon in their holiday with child care: with the activating "daddy-cool"-treatment for example. A top to toe package with facial treatment and scented candles massage for expectant mothers can be booked as well. Use our child care to enjoy our treatments in peace and quiet. From foot reflexology to special head- and neck masages: we offer everything for your relaxation during your holiday with child care. Particularly exotic is the hot stone massage. Warm basalt stones tickle the skin and loosen up the muscles. As one of the most experienced baby hotels in Germany we've even thought of the littele ones if it comes to wellness: with a baby massage you strenghten the bond between you and your little sweetheart through gentle and relaxing touches. Order your wellness brochure for your holiday with child care and book your favourite massage or beauty treatment before arrival already, call +49-(0)8321- 8060 or send an email to wellness@allgaeuer-berghof.de. Browse through our online wellness brochure here. Our family sauna offers relaxation for all family members. With a 55°C sauna and a brine steam bath children and parents can experience the healing power of the warmth. The sauna in our family hotel in Bavaria is designed especially for the needs of families with children.